Coconut oil is a natural moisturizer for dull, dry hair, but it can be difficult to get the right amount on your locks. Too little, and you won't get the shine that you want; too much, and your hair could end up looking heavy and oily. If you've accidentally applied too much coconut oil in your hair, there are steps you can take to solve the problem quickly. Sprinkle about a tbsp. of dry shampoo near the roots of your hair. Use a brush to drag the dry shampoo down toward the ends. The roots will likely be greasier than the ends, so the small amount that reaches the ends will be sufficient to absorb excess oil. 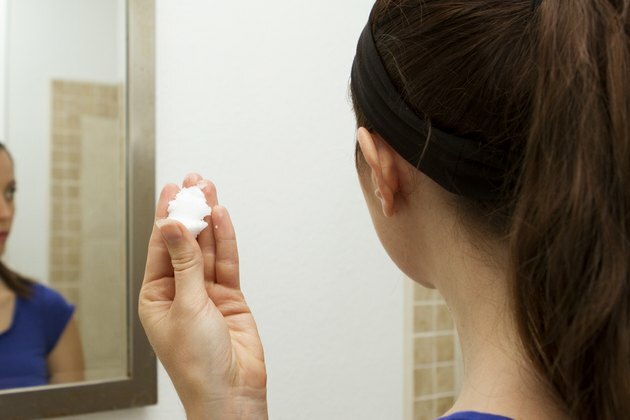 If you don't have dry shampoo on hand, baby powder or cornstarch make for good substitutes when used in the same manner, according to ShampooCentral. 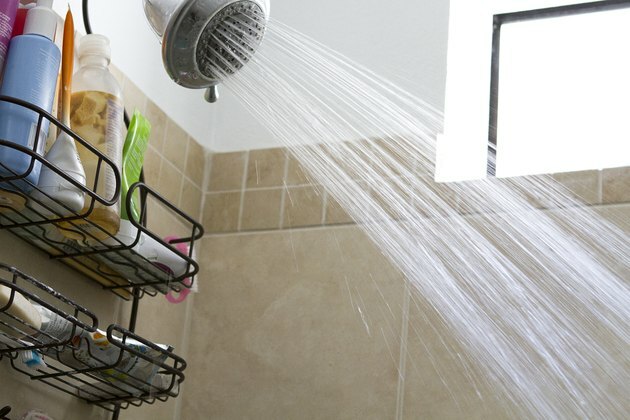 Wash your hair with regular shampoo and water when you have the time. While dry shampoos can absorb some of the excess oil, a clarifying shampoo is best to help remove it from your hair completely. Leave the shampoo on your hair for at least five minutes, suggests MedlinePlus. It allows the detergents in the shampoo to effectively break down the excessive coconut oil in your hair so your hair is no longer oily. You may have to shampoo more than once, depending on how much coconut oil you've used and how fine and thin your hair is. 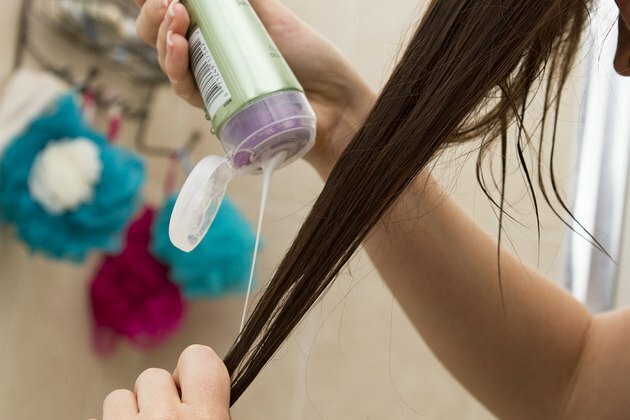 If your hair looked excessively greasy, you may want to repeat the washing process. Condition the ends of your hair only. After you remove the coconut oil from your hair, your roots do not need to be conditioned; the coconut oil has hydrated them enough. Apply a nickel-size amount of good-quality conditioner to the ends to compensate for the loss of moisture from the clarifying shampoo. Apply coconut oil on your fingertips only the next time you use it on your hair. This ensures that you don't use too much. Use your fingers to apply it to the ends of your hair, and use any excess oil to pat down flyaways around your crown. Wash your hands to ensure that you don't oversaturate the hair follicle with too much oil.